Our meeting for the month of May will be on Wednesday, May 1, 2013 at the Milhopper Branch Library, Meeting Room A at 7:00pm. We have some fun things planned! 1) As usual bring in your current WIP (works in progress) or finished projects for show-n-tell. 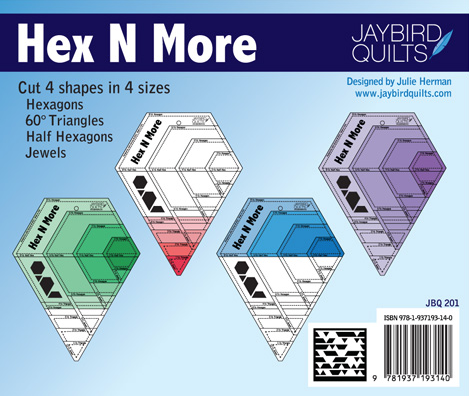 3) Eileen has offered to demo a very popular quilting ruler – Hex N More Ruler by Julie Herman of Jaybird Quilts. Be sure to attend the meeting to see the ruler live in action and learn more about it including where you can purchase one for yourself if interested. To see some example of projects that can be created with the Hex N More ruler click HERE. Hex N More Ruler by Julie Herman of Jaybird Quilts. 1. 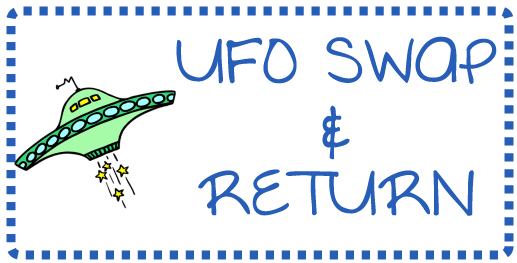 Bring a small UFO (unfinished object or project) that you can’t or don’t want to finish. 2. You will swap UFOs with another member. 3. Each member will then have the choice to continue, reinterpret or repurpose the UFO into a finished project and return it back to the original owner at next month’s (June) meeting. This is sure to be a lot of fun so I hope you will join in! See you on Wednesday! ← Call for Quilts- Deadline this week!